Off On A Tangent: [Video] Interview CC Chapman. Content Rules. Passion Hit TV. [Video] Interview CC Chapman. Content Rules. Passion Hit TV. 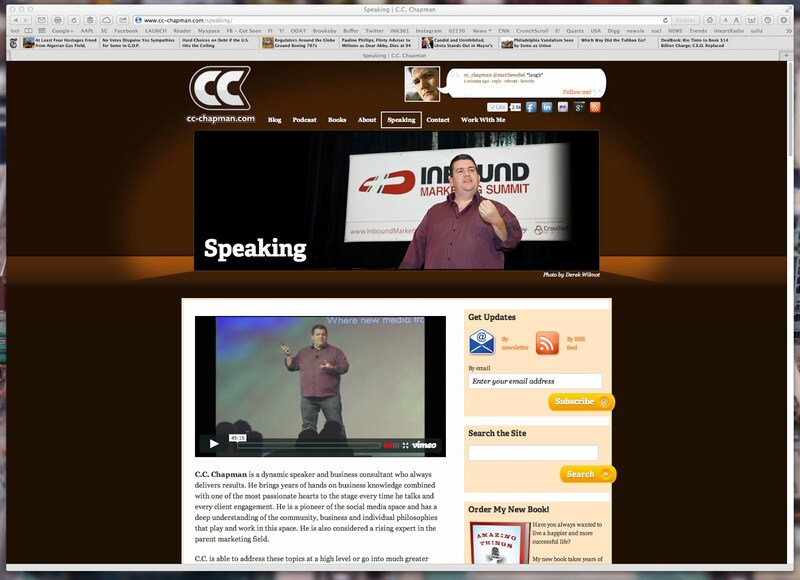 I had fun interviewing CC Chapman at New Media Expo [11/5/11] where he was hosting .TV from the show floor. We talked about a few of his projects, what cameras he uses, and who's doing video well. Who's Doing Video Well: SONY - "Michael" - PS3 Long Live Play -- Full Length. Always fun to sit down and chat with you. THis feels almost like a lifetime ago. Thanks for posting it. That was really fun. I'm impressed with the Olympus PEN and it's mic. Great video and sound.